Make a splash with these deliciously delightful rain boots from NYC's Dylan's Candy Bar. It may be bucketing down, but your spirits don't have to fall along with the barometer. 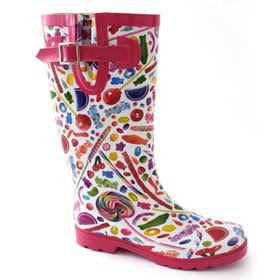 With these candy-coated slickers, you'll be showing off your rain dance in every puddle you meet.